Being selected as a Super Lawyer is a prestigious honor, with only five percent of attorneys selected to the list and two and a half percent selected to the Rising Stars list in each state. Before promoting your Super Lawyers 2016 recognition in a press release, email blast or on social media, it’s important to understand the requirements when it comes to the proper usage of the terms Super Lawyers and Rising Stars. A lawyer on the list is not a “Super Lawyer,” or, for that matter, a “Rising Star.” Rather, “he or she has been selected to the 2016 Florida Super Lawyers list or 2016 Florida Rising Stars list.” When used properly, the term is not descriptive or comparative. He was included on this year’s Florida Super Lawyers list. He’s a Super Lawyer in Florida. Super Lawyers recognized three people from this firm. This firm has a lot of Super Lawyers. Timothy was selected for inclusion to the 2016 Florida Super Lawyers list. Only five percent of the lawyers in the state were selected. Timothy was recognized by Super Lawyers, which means he is in the top five percent of lawyers in the state. Here are some additional facts to remember when promoting your Super Lawyers 2016 recognition. • Super Lawyers never refers to an individual attorney or group of attorneys. • Super Lawyers is always plural. • Use italics when referencing the magazine (e.g. Florida Super Lawyers Magazine). • Do not use italics when referencing the brand or list. • Use the registered trademark symbol after Super Lawyers (®) the first time you mention the term in print or online (note: as a registered trademark, it cannot be used in the possessive form). • List the year and jurisdiction when applicable (e.g. 2016 Florida Super Lawyers). • The Super Lawyers list recognizes no more than five percent of attorneys in each state. 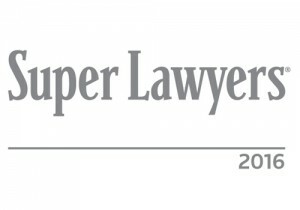 Super Lawyers does not claim to have named the top five percent nationally. • Never imply or state that Super Lawyers has accreditation. The strategic value of obtaining legal awards in your particular area of practice is an excellent way to add credibility to your name and firm. Half the chance of winning awards like Florida Super Lawyers, Top Lawyers, Best Lawyers in America, Florida Trend’s Legal Elite and others is simply being nominated. This typically takes just a few peer nominations. Submission requirements and deadline dates are critical. At Pristine PR we stay on top of these for you and have been successful in getting our clients featured in some of the top legal publications as recipients of these awards.